September 4, 2018 – Lisbon, Portugal – The 2018 Champalimaud Vision Award recognises the research teams led by Jean Bennett, Albert Maguire, Robin Ali, James Bainbridge, Samuel Jacobson and William Hauswirth, for the development of gene therapy for the Leber Congenital Amaurosis, a genetic form of childhood blindness, whose genetic cause was discovered by Michael Redmond, also awarded. Their work resulted in the first gene therapy cure for an inherited human disease. This research opens the way to revolutionary new treatments for genetic conditions. The work of these researchers built on the previous cloning of the RPE65 gene by Michael Redmond and his elucidation of its critical role in vitamin A metabolism for vision. Visual perception starts in the eye with the activation of neural responses triggered by light. 50 years ago, George Wald received the Nobel Prize for demonstrating the central role of vitamin A in biochemical events that convert light into neural visual impulses. 25 years later, Michael Redmond cloned the RPE65 gene and demonstrated that it is essential for converting dietary vitamin A into the biological form that is active in retinal photo-receptor cells, and it was soon found that RPE65 gene mutations render children functionally blind from birth. The three research teams that developed this revolutionary gene therapy are: Jean Bennett and Albert Maguire, from the Scheie Eye Institute, University of Pennsylvania School of Medicine and Children's Hospital of Philadelphia; Robin Ali and James Bainbridge, from the Institute of Ophthalmology of the University College London and Moorfields Eye Hospital; and Samuel Jacobson and William Hauswirth, from the Scheie Eye Institute, University of Pennsylvania School of Medicine and the University of Florida College of Medicine. Working synergistically, these scientists engineered solutions for providing a functional replacement of RPE65 using gene augmentation therapy in the eye. This restored vision to treated children and adults, and in turn their success enabled the entire field of gene therapy for human disease. Jean Bennett, MD Ph.D. and Albert M. Maguire, M.D., Scheie Eye Institute, University of Pennsylvania School of Medicine and Children's Hospital of Philadelphia. Robin Ali, Ph.D. and James Bainbridge M.D., Ph.D., Institute of Ophthalmology of the University College London and Moorfields Eye Hospital. Samuel G. Jacobson, M.D., Ph.D. and William W. Hauswirth, Ph.D., Scheie Eye Institute, University of Pennsylvania School of Medicine and University of Florida College of Medicine. Michael Redmond, Ph.D.; National Eye Institute, U. S. National Institutes of Health. 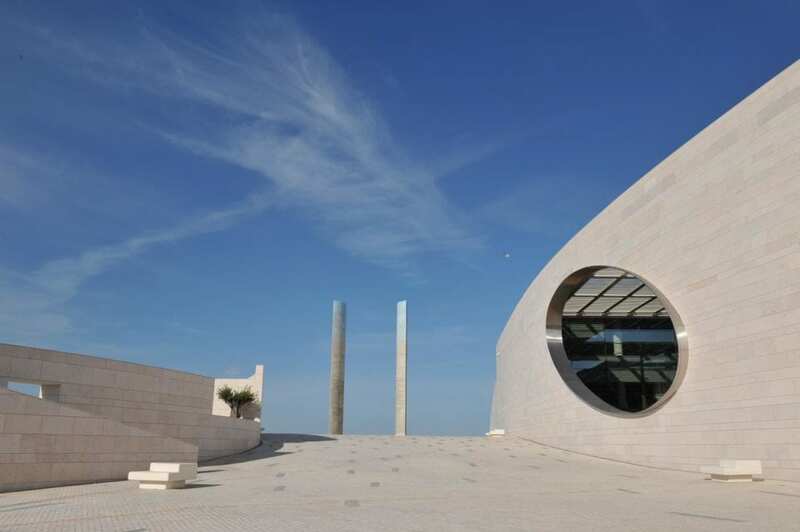 The Antonio Champalimaud Vision Award was launched in 2006 and is supported by the World Health Organisation's 'Vision 2020 – The Right to Sight' programme. The award, worth 1 million Euros, is the largest in the world in the area of Vision. The award alternates its yearly focus between recognising major scientific breakthroughs in the understanding or preservation of vision, which is the subject of this year's award, and outstanding contributions on the ground to the alleviation of vision impairment and blindness, primarily in developing countries. In even-numbered years, the award has jointly recognised in 2008 the laboratories of King-Wai Yau and Jeremy Nathans, of Johns Hopkins University, for their discoveries on the mechanisms of transduction in the retina. In 2010 it went to the research of J. Anthony Movshon (University of New York) and William T. Newsome (Howard Hughes Medical Institute and University of Stanford) on visual processing and perception in the brain. In 2012 to two groups of scientists for breakthrough clinical imaging: James Fujimoto, David Huang, Carmen Puliafito, Joel Schuman and Eric Swanson for the development of OCT, and David R. Williams for advances in Adaptive Optics. In 2014 the prize went to seven scientists: Napoleone Ferrara, Joan W. Miller, Evangelos S. Gragoudas, Patricia A. D'Amore, Anthony P. Adamis, George L. King and Lloyd Paul Aiello from UCSD and Harvard Institutes for their collective successful efforts to treat two of the fastest growing eye diseases, Age-related Macular Degeneration (AMD) and Diabetic Retinopathy. In 2016 four research groups, Christine Holt, Carol Mason, John Flanagan and Carla Shatz were recognized for the elucidation of the development pathways that connect the eyes to the brain. In odd-numbered years, recognising eyecare in developing regions, in 2007, the Vision Award went to the Aravind Eye Care System in India, an outstanding sustainable comprehensive eye care system. In the 2009 edition the work of Helen Keller International received the award for its far-reaching blindness prevention achievements. In 2011 the prize was awarded to APOC (the African Programme for Onchocerciasis Control), for a transcontinental effort to eliminate river-blindness, a blinding tropical disease. In 2013 there were four laureate organisations working to eliminate blindness in Nepal: the Tilganga Institute of Ophthalmology, Nepal Netra Jyoti Sangh (NNJS), Eastern Regional Eye Care Programme and the Lumbini Eye Institute. In 2015 the awardees were three institutions: Kilimanjaro Centre for Community Ophthalmology, Seva Foundation and Seva Canada, all building community-based capacity across Africa. In 2017 the award went to two organizations, Sightsavers and CBM, global pioneers in the fight against blindness, which set model prevention, alleviation and rehabilitation programmes worldwide. The Award Jury is a distinguished international panel of scientists and prominent public figures involved in meeting the needs of the developing world. Jury Members are: Alfred Sommer, Amartya Sen, Paul Sieving, Jacques Delors, Graca Machel, Gullapalli Rao, Jose Cunha-Vaz, Carla Shatz, Joshua Sanes, Mark Bear and Susumu Tonegawa.